I made this vegan pie for my brother’s 21st birthday and despite the initial turned-up noses to a vegan dish the guests returned for seconds. I keep trying to tell people that healthy, nutritious food can taste good but the test is in the eating! 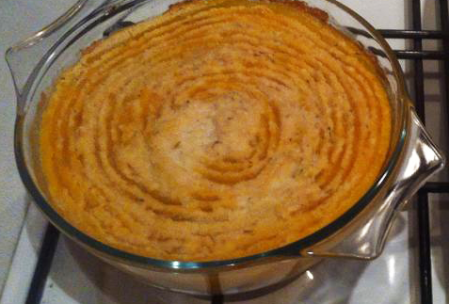 My favourite version of this recipe is to use sweet potatoes in place of white potatoes. 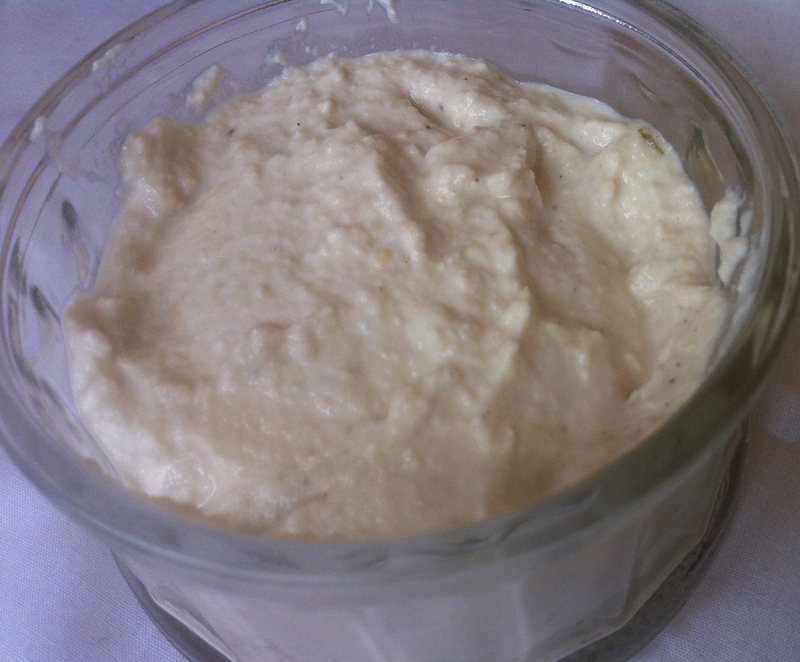 I find that this recipe requires a lot of preparation especially since I make my own almond milk and cashew cream cheese. If you do this then soak the almonds and cashews overnight the day before use (or first thing in the morning if cooking the dish in the evening). 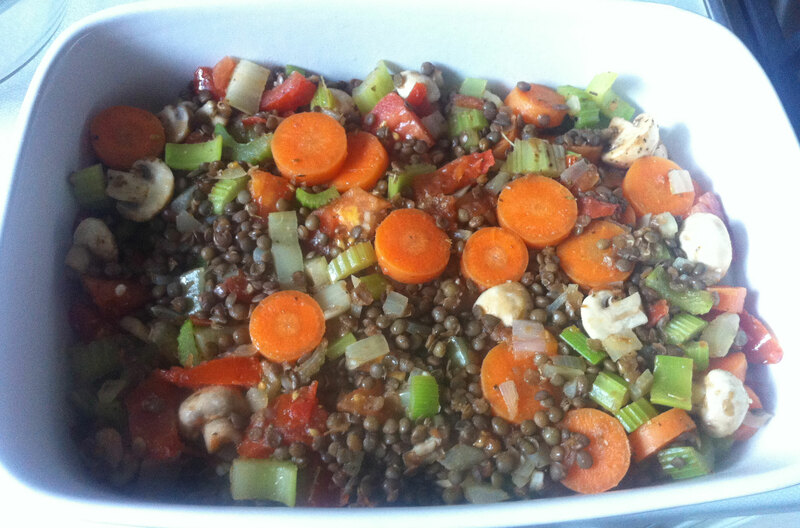 If you use dry lentils you’ll need to make sure they are cooked. I find 1/2 cup of dried lentils yields about 1.5 cups which can all be used in the recipe. Put the lentils to cook the same time as the potatoes. Cover the almonds with water and soak in a bowl overnight. Thoroughly rinse the almonds under cold running water. 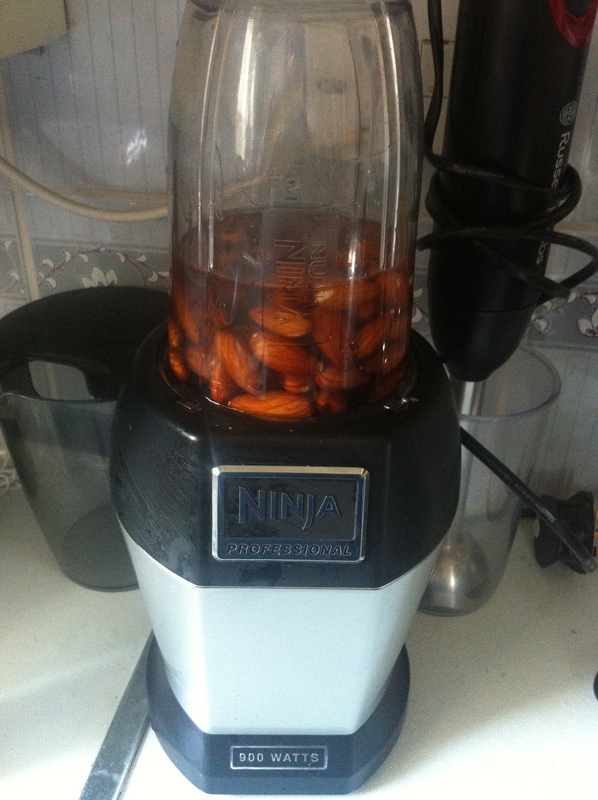 Place the almonds with 1/2 Cup water in a blender and blend until smooth. 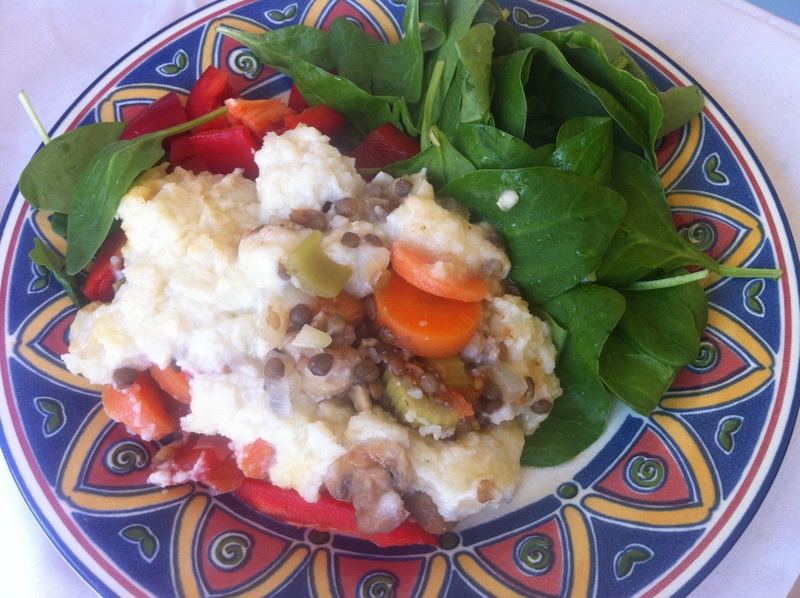 Vegan shepherd’s pie with spinach and chopped red bell pepper. 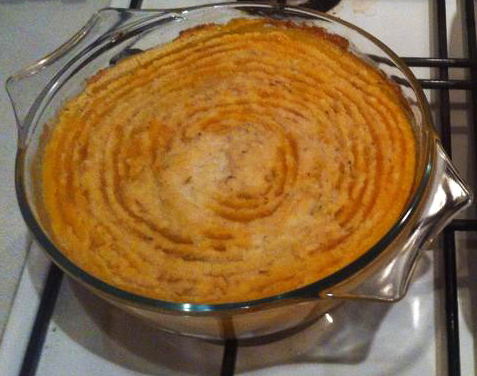 In this version (also shown as the main image) I used 3 large baked potatoes and added cayenne pepper to the mash. Rinse ½ cup dry lentils and cooked as instructed on the packet. Peel, cut and boil potatoes. Sauté all bottom portion ingredients together (except lentils) until thoroughly cooked. Add cooked lentils towards the end. 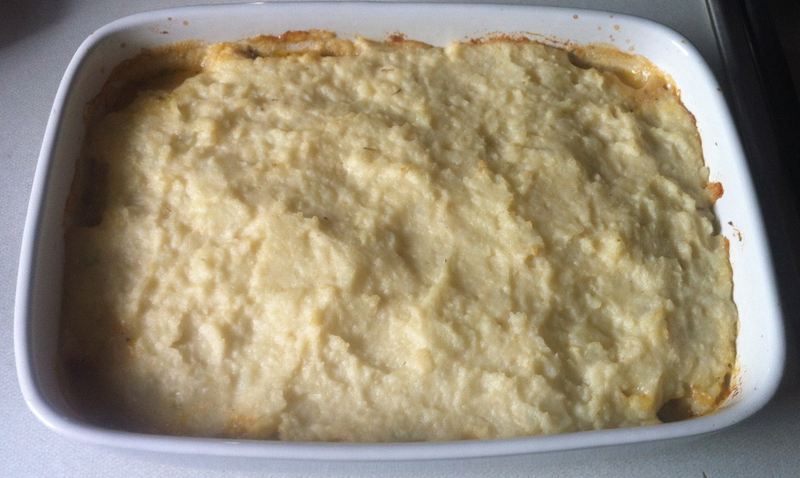 Put bottom portion in an oven safe dish. 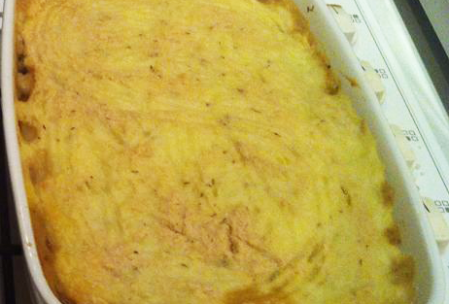 Put mashed potato layer on top. If the cocnut oil isn't already melted then add about 3 tbsp of solid form to the mashed potatoes and leave a few minutes to melt before adding the rest of the ingredients. Try sweet potatoes in place of white potatoes.